There aren’t many players from the state of North Carolina playing hockey at a high level. 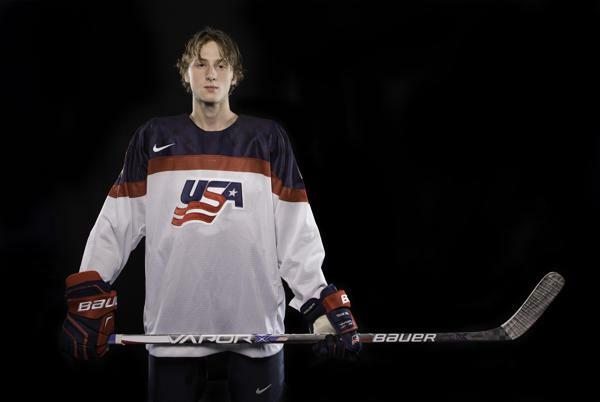 Tyler Weiss is one of the few, and he’s making a name for himself at the Team USA NTDP (National Team Development Program). Coming from an area that is known for its basketball roots, Weiss recognizes that he’s not a part of the norm, but he did spend time in the sport that the state is known for. Weiss, who is headed to Boston University next year to play for head coach David Quinn, says he’s really looking forward to the opportunity. Paving the way for the next wave of youngsters to play hockey out of North Carolina, Weiss said that he wants to be a role model for that generation. Growing up as a Hurricanes fan, Weiss recalled two guys that he looked up to when he was growing up. As for the possibility of being drafted by his hometown team, Weiss says he wouldn’t be opposed to the opportunity. Weiss left off with a saying that goes well with the mindset of this year’s Team USA squad.